"But I did love her!" I pulled my weapon out of the wall and my hung my head down," But it was only a trap and a cruel one at that." I decided to follow him to Obsidian. I couldn't help but laugh. "Oh no, it's not that easy you see. There are an infinate amount of ways to get here, but only three ways to get out." "Sisceal." I clenched my fist. "Sometimes to truly love something you must set it free whether you want to or not. Sometimes the best way to love something is to let go." Alice created a portal of darkness and turned to face the two blatently showing her face to Sisceal. "Master Xadonus the portal is ready." I stuck my hand out to Sisceal. 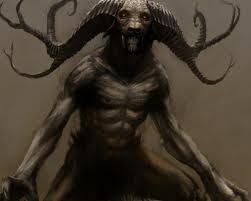 "Well I'm afraid only demons and there slaves can pass through these so good luck on finding Obsidian. And I hope someday Sisceal we can put all of this behind us and be friends. Oh! And I almost forgot There is a new rule courtesy of yours truly. You have two days to find Obsidian otherwise you will become the prey. Happy hunting." Stara: Let me guess. One of them is dying. personality: He is as docile as a lamb, and exists only to serve however possible. He would gladly lay on his back, should you need something to scrape the dirt from your shoes. He follows a strict code of mannerisms making sure every action is preformed with effeiciency and perfection, as failure is never an option. Of course, as everyone does, he has severe flaws to his personality. His desire to be needed often causes him to fall into a deep depression should his services be rejected. His eagerness makes come off as pushy or nosy, and he has a severe dependancy on alcohol. If his offers are turned down then he will take it personally. He doesn't discriminate with class, he will serve anyone from a pauper to a king but don't think he won't chide you if he sees you doing something he considers immoral. Of course that all depends on how domineering you may come off to him. He also makes for a good bodygaurd, considering his gigantic and impressive stature. background: He was ressurected as plaything by noblewoman, but she found him to be physically flawed as his eyes were damned. Ugly pale things that only a corpse could carry. Disgusted by this imperfection, she passed him to his son to be his servant. Whom Drake gladly served for several years, until an agry mob had burned down his Lord's home, mercilessly dismembering his master in the process. Dejected an alone, Drake fell further victim to substance abuse as he searched aimlessly for a use in his life. One day he simply gave up and passed out in some unholy gutter, never expecting to wake up in such an otherworldy place. Clothing and Physique: Standing, he would be 6' and 5", and if one were to even care, he would weigh 240 lbs, a very large physique indeed. He wore an old fashioned 17th century dress shirt, a viridian green frock coat, and a pair of mossy brown trousers,reaching his ankles. On his feet he wore a pair of terribly uncomfortable boots made of leather, fastened by a steel buckle. He looked like something straight out of a Renaissance fair, but the most alarming feature was the ivory venetian mask he wore, painted finely to resemble the face of a barn owl. His hair, however was a very ambiguous dark color ,just long enough to be pulled back in a low ponytail. He is very very broad and big boned making him seem almost ominous if it weren't for his absurd clothing and mask. His jaw practically jutting awkwardly from the frail porcelain accessory, that was now cracking from neglect. Katsune: Hello? Someone please help me, I don't know where I am!! I came back and stood next to Obsidian. "but I did set her free remember? I sacrificed myself for her. "I decided to shake his hand out of the courtesy that he was the one who let me out. "As for your little deal, that won't be a problem. I've been here long enough that I know this place like the back of my hand, every twist and turn and how it changes and confuses. Even if I fail, you know I don't go down that easily." I smirked devilishly at him turned and headed up the steps. I looked at Obsidian. "What was that about?" "Just a guest in need of a little assistance." Stara: <Assistance? What kind of assistance?> You are the host, are you not? I wager that's there's at least one exit through you. And as to the other, i have no clue. But I assure you, I will find out." "Close enough. If you want I could simply tell you the last one? In fact I would be willing to explain them more if you'd like? Stara: *smirks* Be my guest. or should I say, my host? I kept standing next to Obsidian.I looked at him. Katsune: Wow, looks like someone forgot the times. Katsune: What are they, dead?! "Very well then. The one you got is simple enough, you could die and might I suggest if you decide to do so the balcony overlooking the plaza is a wonderful place. Beautiful view, not too high as to splatter you here and there, but high enough to get the job done. Lets see...then there's the method of substitution, I give you a year and 3 months to find a willing subtitute to replace you. If you fail, your stuck here until you get to try again. Lastly, if you can locate the one key that allows you to leave you are free to go, I can't stop you once you get past a certain point . The catch is that there are many ways to get the key, but only one way to get out and the odds most certainly are not in your favor." smiling menacingly at her I said," I hope that was sufficiant enough information for you." "That poor human deals can be worked into our favor." I stuck my silver tongue out. " All it takes is a little convincing." "Obsidian,darling.Don't go scaring my food into leaving too early. "I smiled the same as he and licked my fangs. Stara: *completely unaffected by the menacing* Very. Thank-you. Could you kindly direct me to my room? Katsune: Books.....I love to read books, but nows not the time? Katsune's Thoughts: It sure is dusty and old! "No problem." I motioned for another servant. "Would you kindly take this young lady to her room?" It bowed and motioned for her to follow it. I was running as fast as I could up the stairs, but ran into a dead end."Really. Is this the best you could do?" I felt around for a bit and found the small stone that can be pressed in. "Aha!" The wall shifted and I was in the library. "Not so bad...now where is that creep." Katsune: Haha, um, can you forgive me sir, and possibly tell me my whereabouts? When I got to my room, I closed and locked the door, then the window. I then proceeded to seal them using my own magic. Heh, try and break in now. Now, what to do about that key? I must think about this. But first, sleep. "Oh...Hello....Sorry, but I'm only a prisoner here as well ." I looked at her appologetic expression and smiled gently. "So you're looking for the owner eh? Maybe we can help eachother out here. You help me find him and i'll let you know all about this place?" "Blah." I sat up, trying to tell what time it was. Not that much time had passed since I tried to sleep. Keyword: TRIED. That stupid key was really bugging me, as was the host and that...maid for lack of a better word. I got up, thinking I'd do a little sniffing around. As I was pulling on my clothes and various weapons (hehehehe), I heard an ear piercing scream. I was relieved at the fact I had someone to guide me and quickly took the offer, "Oh sure, do you have any leads that might help me find clues to his whereabouts?" I smiled and thought to myself while awaiting for an answer. "I wonder if he has special abilities like me? Maybe that's why I was dragged into this place..." As I thought to myself, I began wanting to know more and more about this man I met. Drake felt the cold cruel ground below, melt away in something soft and damp. He felt the wet fleshy grass tickle at his skin and dreamt that he was lying in a field of flowers. Their petals were tinted every hue concieved by man, some colors he could even begin to fathom. A feeling of bliss filled his chest as he allowed them to caress him. But the skies turned dark, and a feeling of dread came instead. The colors were drained from this beautiful scape, turning everything into a vile gray. Thin, sticky vines crawled out like spindly fingers and clawed at his flesh tearing away his skin, until there was nothing but muscle and bone. He cries were stifled as they forced their way down his throat and nostrils, hindering his ability to breath. They crawled into his ears, and eyes, blinding him, causing him to only hear their wet crackling. Through darkness he saw a sliver of light and found his eyes were closed, though he was still being suffocated by something rather heavy. Opening hus eyes, he found himself looking up at a stone wall that climbed to open skies. He blinked and found he was choking on the sleeve of his coat, his arm damp with drool and the sick that he wretched up the night prior. He removed it out of shame and rolled over as he scrambled to his knees. Drake was startled to find himself in a patch grass before a great mansion-castl-thing. Clutched in his other was an empty bottle of whiskey; He stood holding it close to him like an infant clutches to a bear. If one were to see his filmy swollen eyes beneath the mask, they would see that were glimmering with dazzlement. He stumbled drunkily towards the doors and studied them. Then he reached with a quivering gloved hand, torn at the knuckles and missing a finger the glove was, and knocked firmly three times. I raced out into the corridor. Correction: I TRIED to race out in to corridor. I forgot to unlock the door. "Merde!" I swore in Latin as I hurried to undo my sealing spell and actually unlock the door. When I finally got out into the corridor, the screaming had stopped, but it still rung clear in my head. I looked up and down the hall, trying to figure out out where it came from. Then the screams started again. "Well...in all honesty. I was just released from my time in the dungeons. So I have no clue where his is currently, but, his darkness runs so deep that it should be no problem tracking him down." Another chunk of wall collapsed making a hole through the floor. *sigh* "I belive that repairs are a tad overdue." With a quick wave of my hand the walls and floor began to mend. I ran past Obsidian, then skidded to a halt and turned to face him. "Did you just hear screams?" "Oh, kirajen. There it goes again!" Not waiting for a reply, I spun around and blasted out the door. I heard the screams coming from about eight miles away. "Merde, how am I going to get over there?" A slow grin played across my face as I realized how. I jumped into the air, letting my black wings unfurl as I flew straight and fast true towards the screams. Alice and I stepped out of the portal behind Obsidian. "Sisceal has been released Sid." I lit a cigarette. "I could have done that,love. "I smiled and stood there with him,watching the walls rebuild themselves. A few minutes later, I caught my first glimpse of the commotion. A girl cowered behind a huge boulder (or is it a tree? IDK, whatever) as a ...thing sniffed around on the other side from her. "$%^$#! What is that thing?" It turned to me and I saw it. "Oh, a Minotaur. How quaint. I didn't think Obsidian the kind to keep a Minotaur. I thought he would be the kind to enjoy actually doing the torturing and murdering. Huh." I smiled and said, "it's alright, let's work together." I lend out my hand for a hand shake, "I'm Katsune Ichinose, as said by many, a demon. You are?" I look at him with a truthful look, something rare in my terms. "Damn, that won't work. You have to take the bull by the horns (hehehe) and use a whole lotta voilence!" I pulled my swords out of their sheaths and divebombed the Minotaur, slashing at his eyes, while at the same time, using darkness to bind his arms and legs so that he wouldn't break one of my wings. I'm a bit funny about that. I flew upward just before he broke his bonds. He glared up at me as I smirked and said, "Well, me bucko, don't worry. That was just an introduction. Hyah!" I threw my swords and they embedded themselves in his eyes.